Mildred Kulich, Glencoe, stopped at the home of Denise Corneil’s Sunday July 10, 2011 in search of a map and details of the Wardsville Barn Quilt Trail. Millie stated “my cousins Jean Dimmel and Pat Powell, (Oregon, USA) are here on a vacation and insisted I take them on the Wardsville Barn Quilt Tour”. The ladies had great time seeking out all the blocks. They stopped by Denise’s house to find a map to take home with them to Oregon. Wardsville’s Barn Quilt Trail attracted visitors from England and Holland earlier this year. The Middlesex Doors Open program, September 17 and 18, will highlight Wardsville Barn Quilts. Watch for upcoming details. For a map go to www.wardsville.ca, click on barn quilts. Print the map. 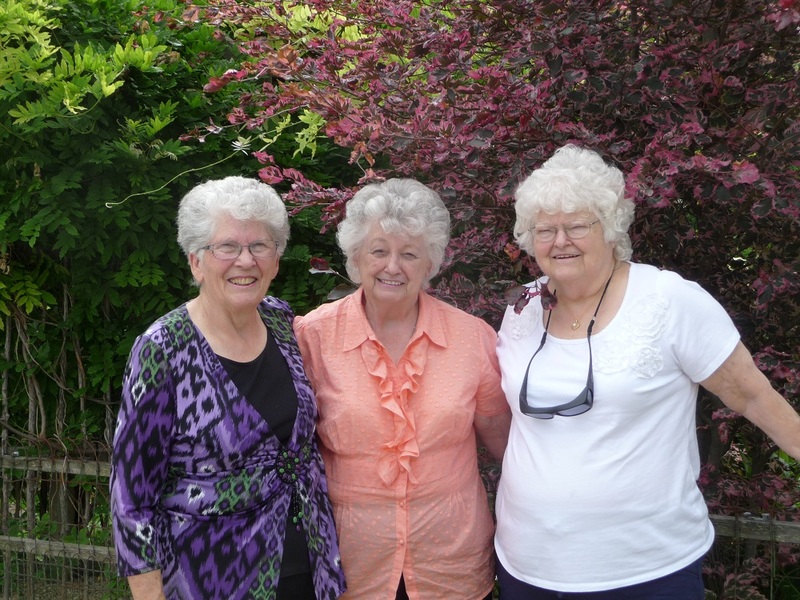 Glencoe resident,Mildred Kulich, tours cousins Jean Dimmel & Pat Powell, Oregon USA on the Wardsville Barn Quilt Trail. Posted on July 10, 2011, in Barn Quilt Trails., Tourism and tagged George Ward Barn Quilt Tour, Wardsville. Bookmark the permalink. Leave a comment.